Dark chocolate is the king of Paleo indulgences and when combined with the richness of coconut milk you’re in for something really decadent. This hot chocolate is easy to prepare in a few minutes and will keep you warm during the cold winter months. 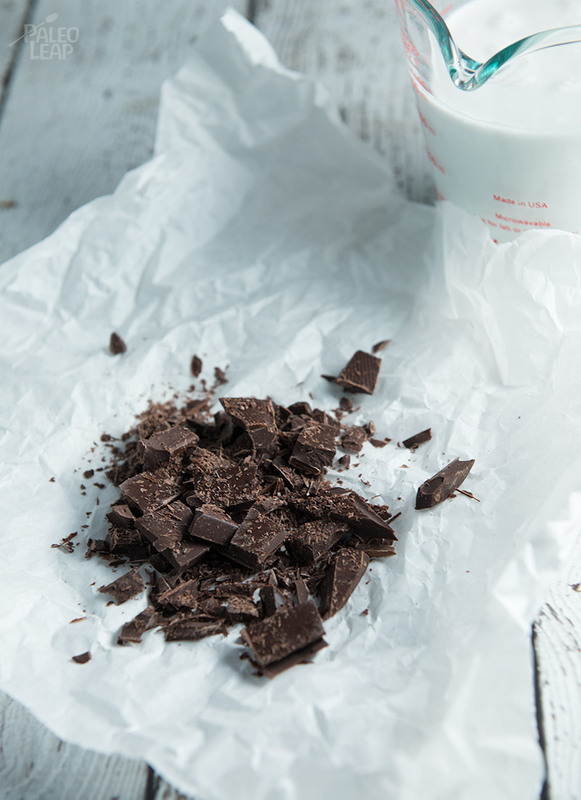 Full of good fat from the coconut and antioxidants from the high-quality dark chocolate, you won’t have to fill guilty about a hot chocolate treat for once! The best part is how easily this recipe can be adapted for different flavor profiles. Add more chocolate if you like it extra chocolaty, or ¼ tsp of peppermint extract for a peppermint hot chocolate, ½ tsp pumpkin spice for a pumpkin spice hot chocolate, and similarly for cinnamon. Like to kick it up a notch with some heat? 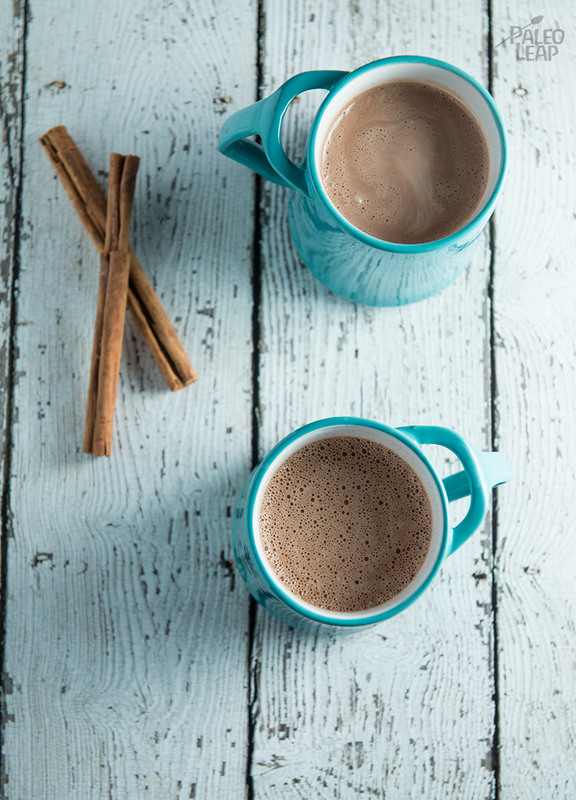 Create a Mexican hot chocolate with ¼ tsp cinnamon, a pinch of cayenne and a pinch of sea salt. If you feel hot chocolate isn’t just the same without marshmallows or whipped cream, don’t fret. Adding a dollop of this coconut whipped cream will bring you right back to your fondest hot chocolate memories. Sprinkle it with cinnamon or chocolate shavings to really add a fancy touch to it. This results in a rich and creamy hot chocolate so a little cup goes a long way. If you prefer, add about a ¼ – 1/3 cup of water to the coconut milk to thin it out. If adding additional flavorings add them in at the same time as the chocolate. SERVES: 2 PREP: 5 min. COOK: 10 min. Heat the coconut milk in a saucepan over a medium heat until hot, but not boiling. Add in the chocolate and vanilla extract, stir until fully melted.